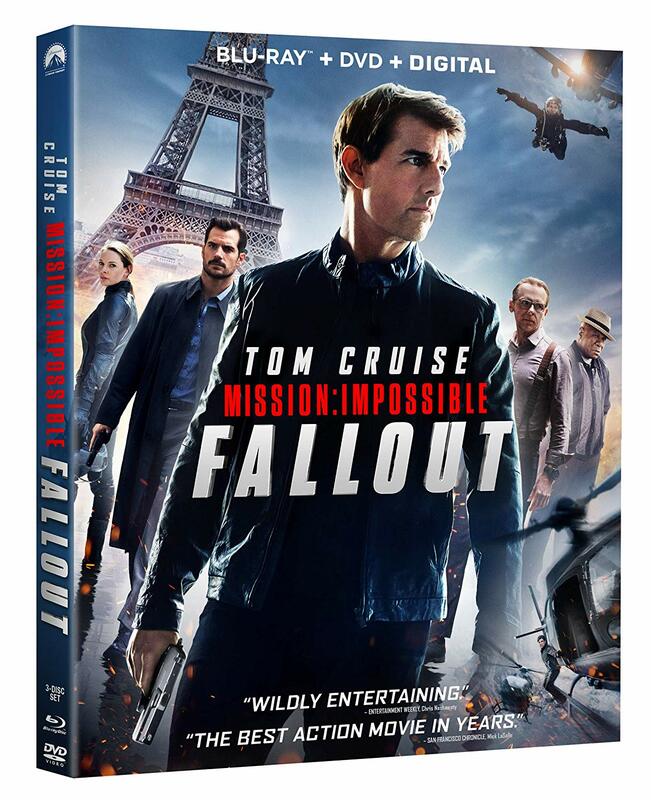 The best part of the Mission: Impossible – Fallout Blu-ray may be the video upon startup with Tom Cruise and Christopher McQuarrie speaking out against motion smoothing. They give the viewer instructions on how to fix it. So they don’t just play heroes in the movies. They’re actually saving cinema in real life. I’m so glad this Blu-ray included the full frame IMAX footage. We’d still like a reissue of Ghost Protocol with the IMAX sequences. The rest of the film looks good too. You can see some grain from 35mm film which is appreciated. Some interiors flare up a tad with digital noise but that’s an artifact worth maintaining for film. Lavish Paris locations are perfectly clear as Cruise rides through evading foes. Seeing the Eiffel Tower and Arc du Triumph in the background of location changes can’t be duplicated on green screen. Same for the London foot chase, running above the city. Kashmir (Shot in New Zealand) looks the most majestic with the snow covered mountains. Then it gets even more glorious when the IMAX helicopter chase happens above it. That is utterly perfect footage and the whole movie is building towards it. The DVD has the full IMAX scenes too. Deleted scenes include a great Grand Palais’s stunt. There’s a bit more helicopter chasing too in full IMAX. So there, you even get more awesome Fallout stunts. In the bonus features, we get a lot of shots of Cruise doing the stunts with cables. It’s still badass and it’s not all about the risks. Sometimes it’s just about maintenance. To do the HALO jump they have to breathe pure oxygen for 20 minutes, just to get their lungs ready. Some of the behind the scenes footage is just as thrilling and beautiful as the film. There’s one sort of fisheye lens that gives you a slightly panoramic view of the stunt. Even with basic B-roll they’re in beautiful locations for these set pieces. But there is more to Mission Impossible than the stunts and they make sure to do interesting things with the music and editing and other aspects. McQ’s commentary with Cruise is very technical. They go through all the stunts but also all the regular scenes down to what lens and framing makes the scene work. Sound design is also just as specific to make sure the audience doesn’t get exhausted by the action. It’s amazing how they cut the production as close as the IMF team cuts their close calls. Pivotal ideas in the film we’re rush jobs but they pulled it off. McQ’s commentary with editor Eddie Hamilton discusses earlier cuts of scenes and how they were honed. Even taking out a single line makes a scene work. Composer Lorne Balfe breaks down the music in his commentary and reveals a few spots where Cruise had some good suggestions.